Art is a very important part of our home education. Art not only teaches about methods, media, and artists. It helps develop the creative part of the brain which can help in all other areas of study. I have, also, found that adding art to our homeschool day adds life to our studies and something active to take part in. Our kids are much better behaved and better students when we make time for art. I can certainly tell when we leave it out. One of our favorite homeschool art studies has been through the Chalk Pastel ebooks. These are wonderful guided lessons that can make an artist out of anyone – even this biologist who can’t make stick people that resemble stick people! I am amazed at the art we have created! Whenever a new ebook comes out, we get it immediately. There is one for every season and for various themes. 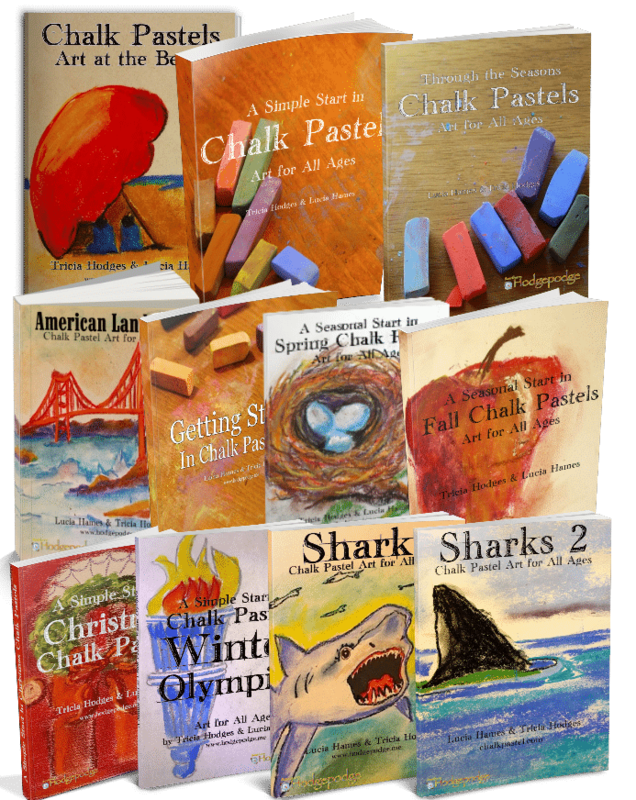 I have often thought that it would be great to have a video version of the Chalk Pastel ebooks. Now, there is!!! A Simple Start in Chalk Pastels Video Art Course is a collection of video art lessons than can be purchased as a full year, 45 lesson course (one for each school week) or broken down into semesters. The course is taught by Master Artist and homeschool grandma, Lucia Hames. These are truly for all ages and can be enjoyed using just chalk pastels and paper. Visit ChalkPastel.com to get your homeschool art video course!